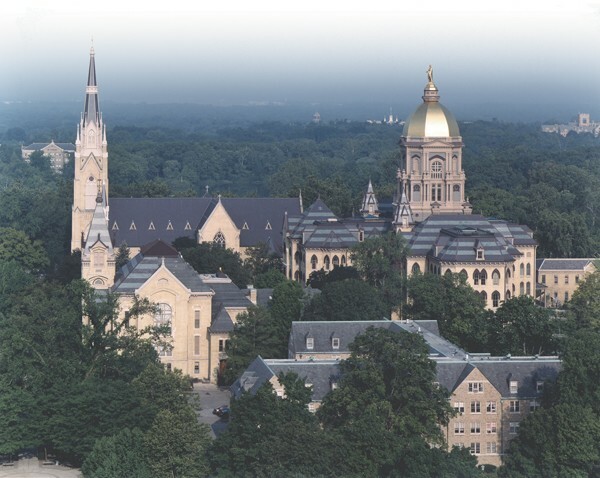 Restore the decorative splendor of the Administration Building and its dome – the most recognized landmark on the campus of the University of Notre Dame, Notre Dame, Indiana. 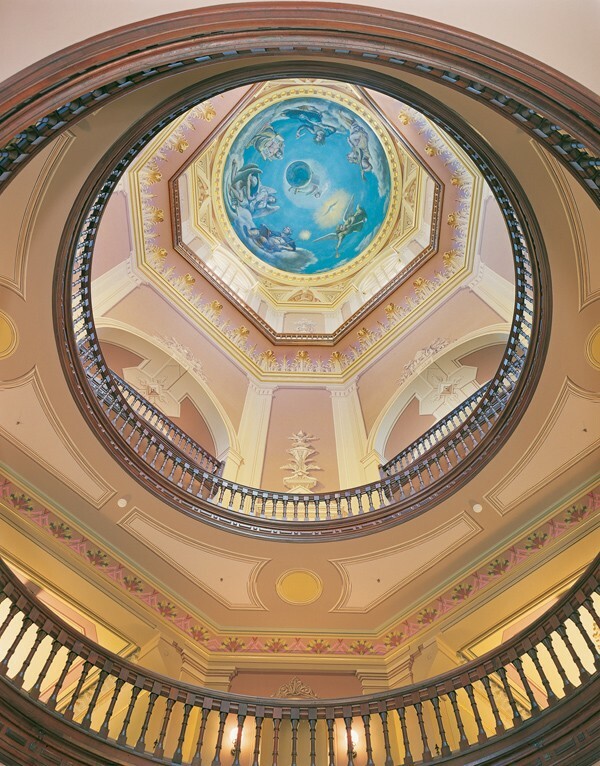 The project encompassed two main areas of the Notre Dame Administration Building: the entrance hall and the dome. 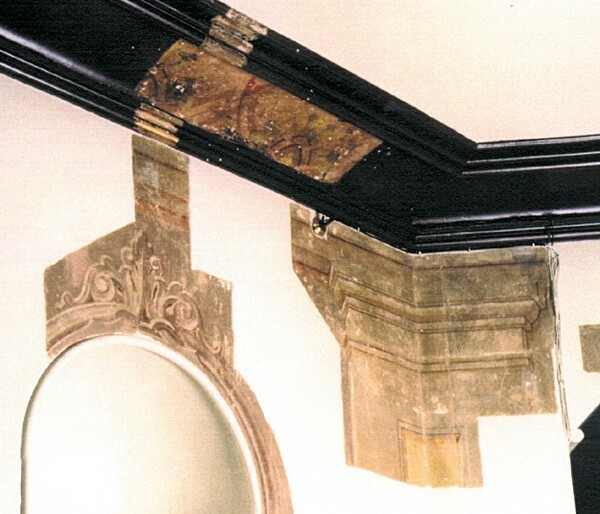 After exhaustive documentation, Conrad Schmitt Studios completed a number of decorative samples to illustrate the restoration before the project commenced. 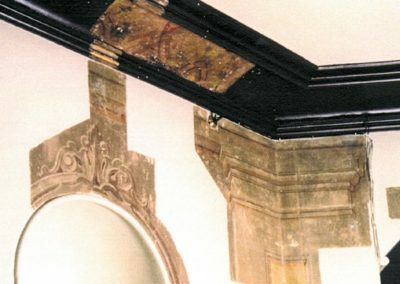 In the second floor entrance hall, a series of 12 paintings by Luigi Gregori were conserved. The paintings were originally executed between 1882 and 1884 and depict events in the life of Christopher Columbus. 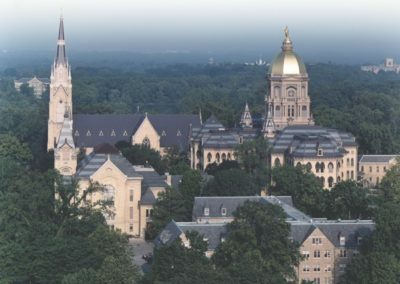 In 2005, the Studio re-gilded the signature golden dome and Our Lady statue that crowns the Administration Building. 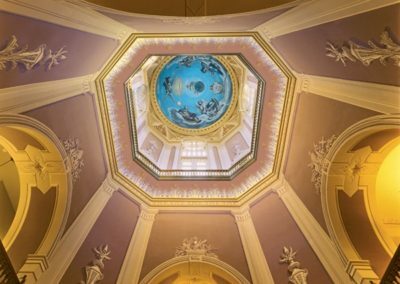 The outer dome was re-gilded with 23 3/4 karat gold leaf. 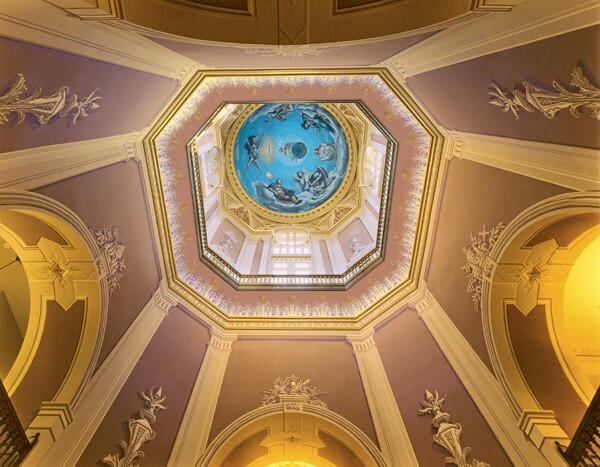 The inner dome was also conserved. There, Conrad Schmitt Studios’ artisans and craftspeople restored figures painted by Gregori to represent Religion, Philosophy, History, Science, Fame, Music and Poetry. 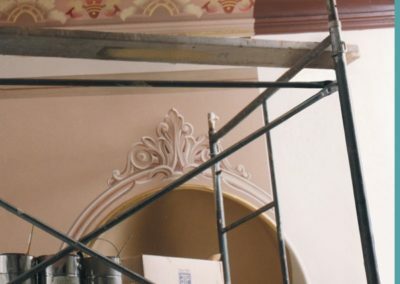 Now completely restored, the Administration Building is the center of campus life and a symbol of the history of an esteemed institution.